The Real Fiction is an investigation on the theater machine, its codes and conventions. An exploration of how fiction is produced and what is the tension with the reality of the theatrical situation. It questions the spectator's experience in theater, asking what is real and what is fiction. In the piece the main tool for this question is the mistake, the failure. The failure or accident makes fiction to break and to be questioned. Performers usually rehearse for many hours not to make mistakes, when the mistake or accident takes place the world that was created disappears bringing the fiction to the level of reality, the fiction vanishes. In The Real Fiction mistakes are part of the fiction but the spectator at first doesn't know and he/she experiences how the theater machine falls apart, everything goes wrong. Throughout the piece it becomes more and more evident that the mistakes and accidents are part of the fiction and the unpleasant feeling becomes more and more enjoyable. When it becomes obvious that everything is part of the fiction the audience relaxes in the convention of comedy, but at the same time creating an awareness of the mechanisms of it. A piece conceived and directed by Cuqui Jerez. 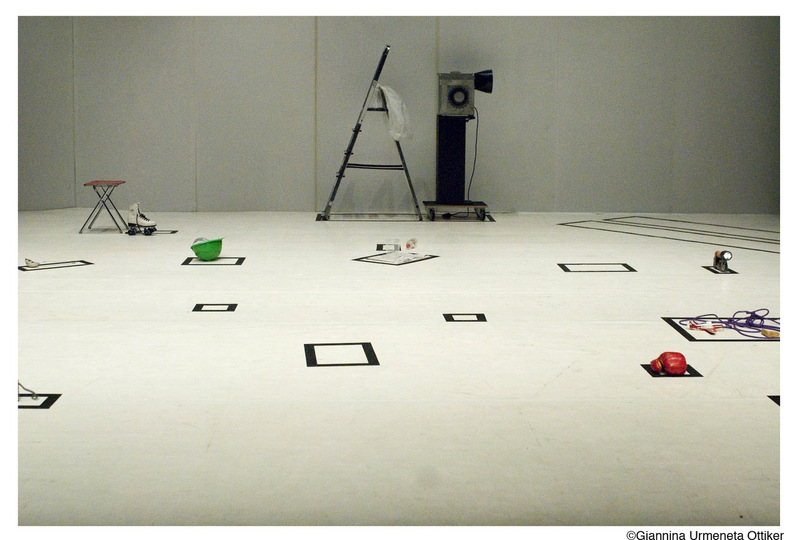 Created in collaboration with María Jerez, Amaia Urra and Gilles Gentner. Performed by María Jerez, Amaia Urra, Cuqui Jerez and Cristina Blanco. 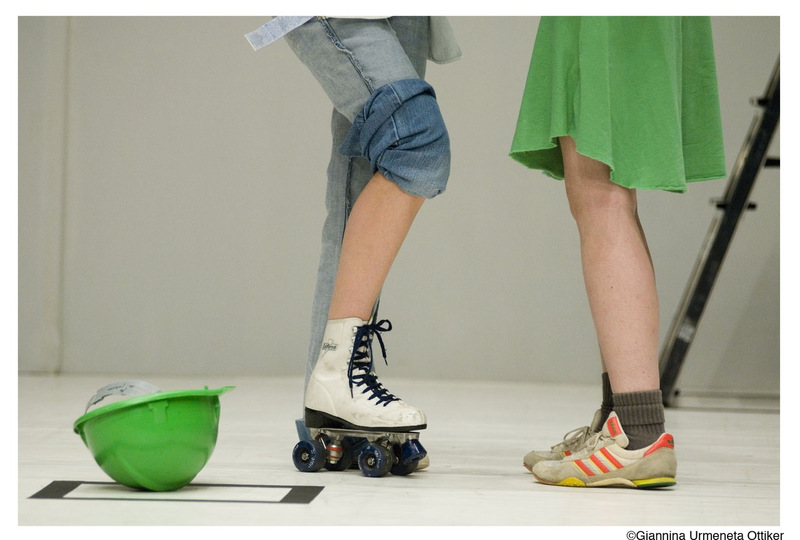 Technical direction by Gilles Gentner. Assistant Cristina Blanco. Produced by Cuqui Jerez. 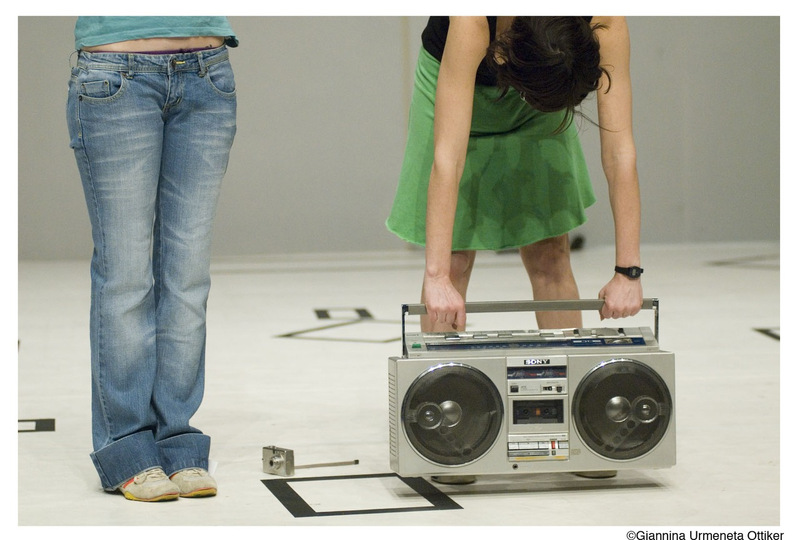 Co-produced by Plateaux – new positions in international performing arts/ Mousonturm, Frankfurt. Dirección General de Promoción Cultural de la Consejería de Cultura y Deportes de la Comunidad de Madrid. María Jerez and Amaia Urra. Supported by Aula de Danza Estrella Casero de la Universidad de Alcalá de Henares, Spanish Embassy in Germany and La Casa Encendida, Madrid. 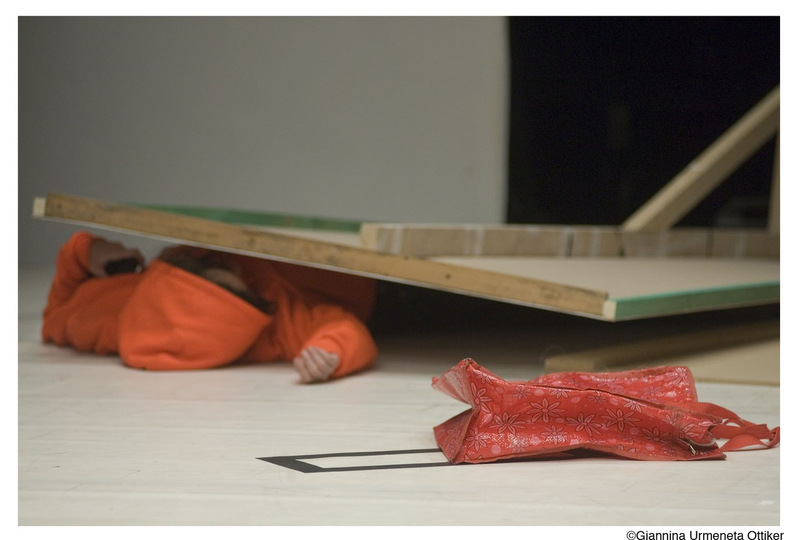 Premiere in Frankfurt at Plateaux – new positions in international performing arts/ Mousonturm, 3 and 4 November 2005. 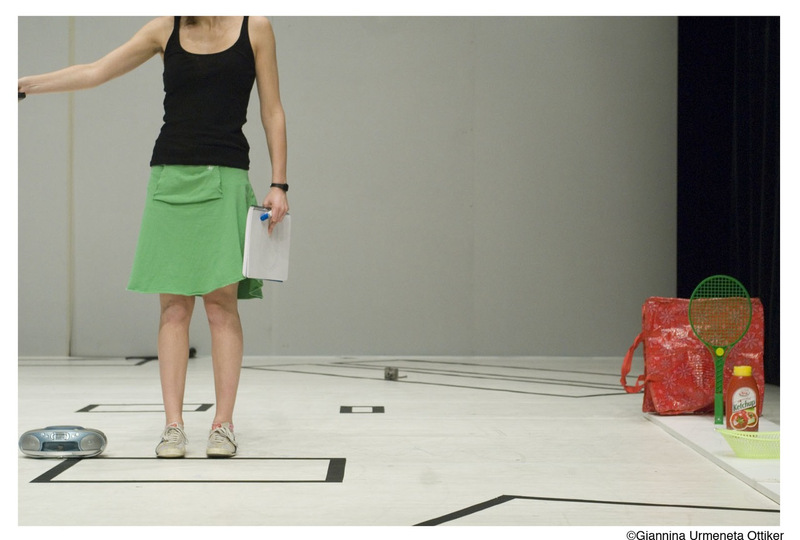 Madrid, Festival Escena Contemporánea. Sala Cuarta Pared, 20 and 21 of February 2006. Frankfurt, Plateaux, Mousonturm, 7 and 8 of March 2006. Fribourg, Belluard Bollwerk International Festival, 7 of July 2006. Madrid, Muestra del Instituto Cervantes. Teatro Valle Inclán, 8 of September 2006. Montpellier, Hors series. Centre Choreographique National de Montpellier, 14 of November 2006.